How To Perform KYC Checks on a Central Bank? 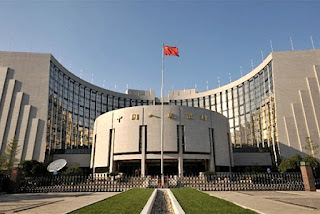 How To Onboard a Central Monetary Authority? Central Banks are not a very difficult entity to on-board as a counter party because risk based approach will suggest that it is one of the least risky proposition if done correctly. 1.Check on Bank for International Settlements (BIS) that it listed on that website. The name should match exactly and link should take you to your potential counter party’s website. The website link for BIS is https://www.bis.org/ . This is the confirmation that your counterparty is a central bank. Fall of Aleppo & Baghdad - Who is Responsible? 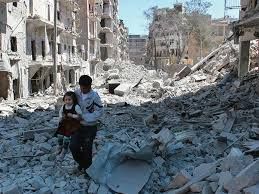 Syria is suffering and whole Muslim world is suffering because of over emphasis on religious identity. Shia, Sunni and countless other sects are fighting to implement their form of Islam. Islam is a simple religion but people have hijacked it and made it into something which it is not. At the heart of all wars is this fight for identity. Geopolitical forces are using this rift to further their aims. Sipah Sihaba, Siphah Mohammad, Lashkar-e-Jhangwi etc. are symptoms of a deeper malaise in Pakistani society. Following article defines one of these struggles taking place in Pakistan.